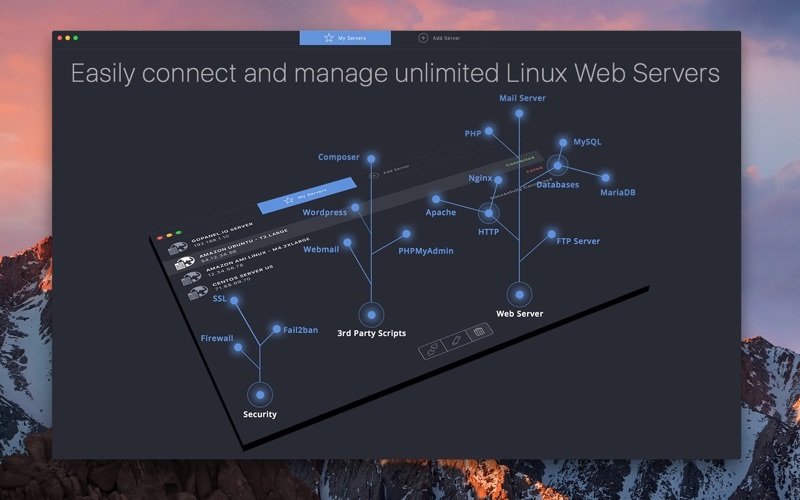 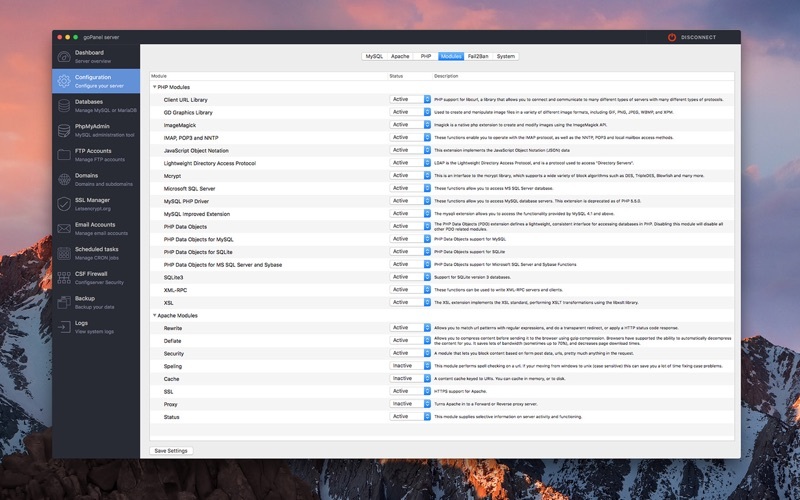 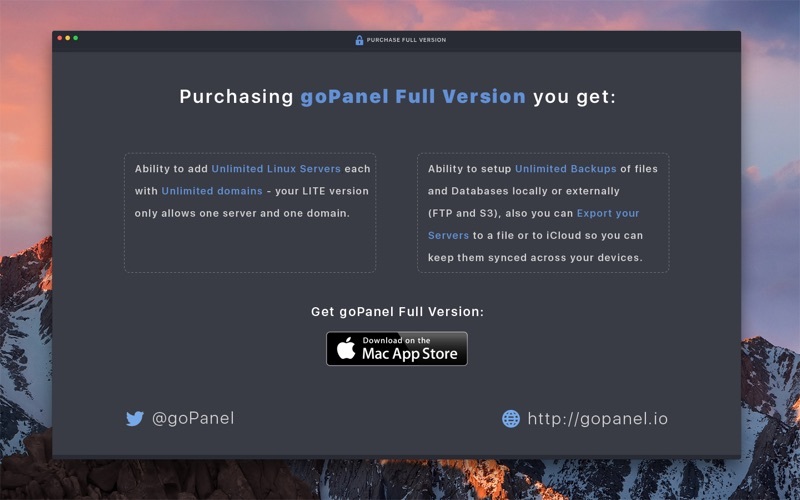 goPanel LITE offers a reliable way to manage one Linux Web Server directly from your Mac’s Desktop / Laptop. 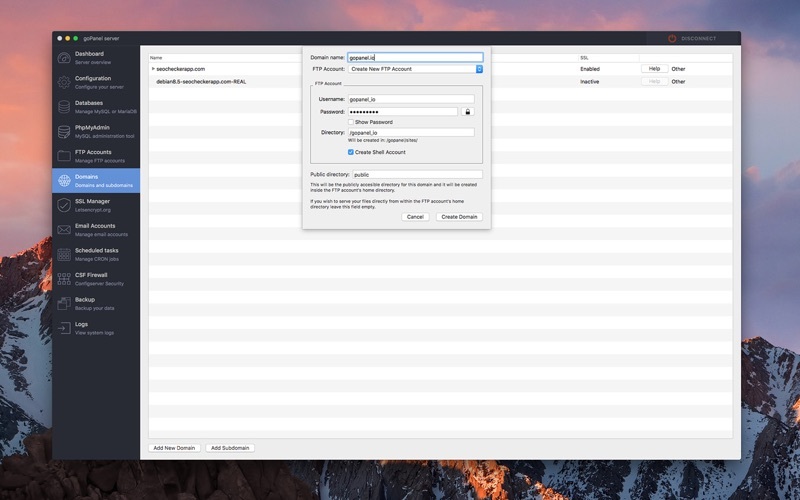 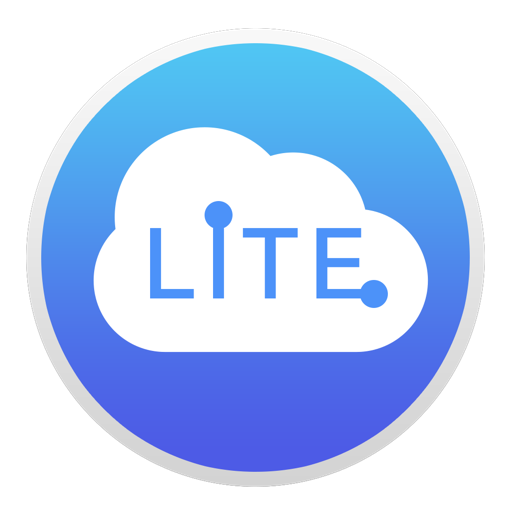 Our LITE version lets you use all the features from full app, but is limited to one server, one domain, one backup and without the ability to edit configuration files, Installing system updates or export your server to iCould or file. Easy to install and configure Apache or Nginx web server, PHP, MySQL or MariaDB, FTP, SSL certificates, for one server and one domain.